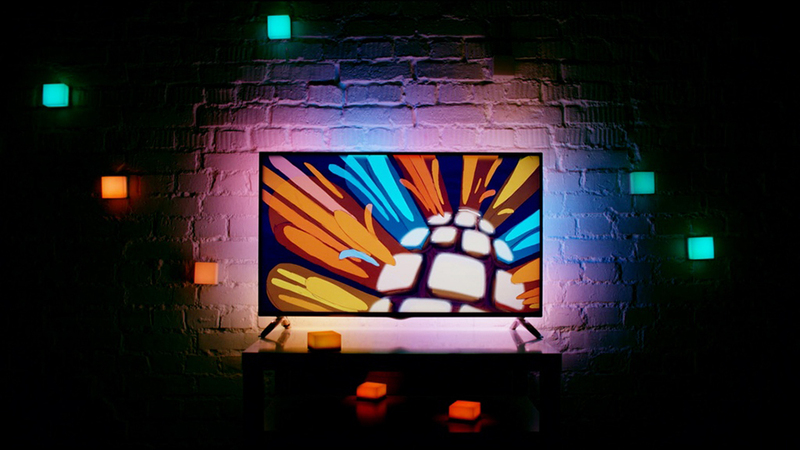 A ready-to-assemble ambient lighting kit that extends the colors coming out of your HDTV. 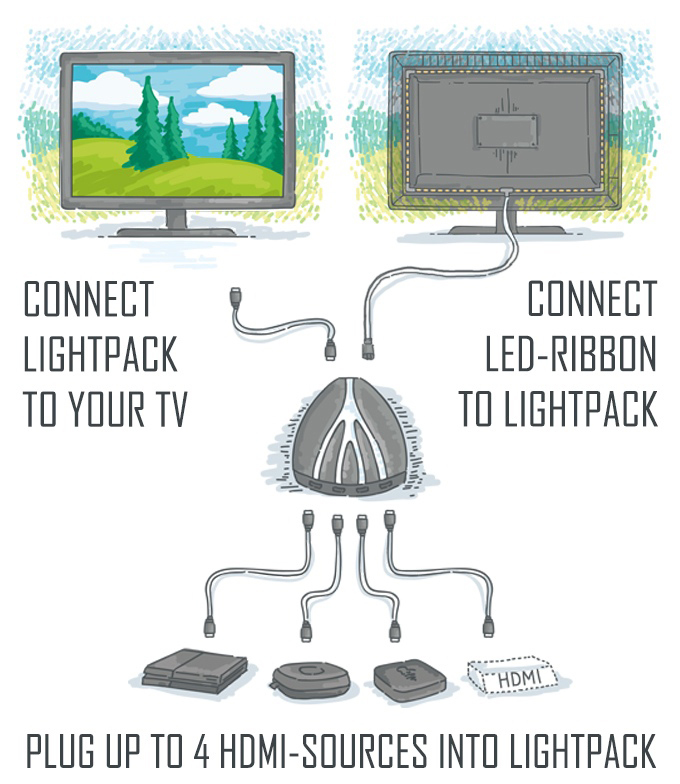 Lightpack 2 comes with RGB LED strips, corner pieces and an adapter that lets you connect up to four HDMI devices. Optional “pixels” let you extend color into your room.